PoPville » Philz Coffee and Pacers Running Also Coming to Navy Yard!! 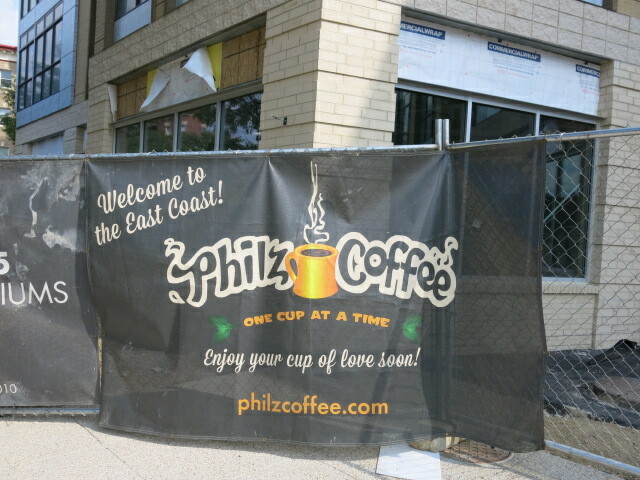 Philz Coffee and Pacers Running Also Coming to Navy Yard!! More good news for San Fran expats and apparently those who like really good coffee. Another Philz is on the way. Last week we followed up on the one coming to Adams Morgan slated to open early next year. And now one is coming to Navy Yard too. And for running fans another Pacers is opening up as well – Pacers new Logan location opened up just last month in the former Muleh space on 14th Street. “Two more great new retailers have been announced for The Yards, DC’s premier waterfront neighborhood. Pacers Running, a popular, locally-based runners resource store will open in October in the Boilermaker Shops, while Philz Coffee, a growing San Francisco-based coffee shop, will open in the new Arris residential building in Spring 2016. The announcement of the latest retailers to join The Yards was made by Forest City Washington, the project’s master developer. While Pacers Running stores carry top-of-the-line footwear, as well as running and exercise clothing and gear, along with personalized expert advice and fitting, they have also branched out to be a major organizer and promoter in the area of events aimed at runners who are serious and even not so serious about their running. The stores are positioned as community centers for runners including organizing various social and themed fun runs, as well as maintaining community outreach programs aimed at developing cross country programs for thousands of area high school students. With the opening of Pacers, the Boilermaker Shops’ retail component is now fully leased. The Yards is the sixth DC-area location for Pacers. seven bean varieties from around the world, all pioneered over the past 25 years by Philz Coffee founder, Phil Jaber. Philz Coffee prides itself on being a green coffee shop by composting its coffee grounds daily, using recyclable cups and encouraging customers to use reusable cups. With over 20 California locations, Philz Coffee at The Yards is a part of the company’s plan to establish multiple locations in the DC metro area, their first expansion market outside of California. Philz Coffee will occupy 2,400 SF in the new Arris apartment building located on Fourth Street SE at Tingey. The store will front on Tingey Street across from the Boilermaker Shops. Announcement of additional retailers to occupy the 19,000 SF of street-level retail space in Arris are expected over the coming months. The 327-apartment unit Arris is expected to welcome its first residents in early 2016. Apartment pre-leasing will begin this fall. With Buzz Bakery’s conversion into a tasting room for Bluejacket next door, Philz will be a welcome addition for great coffee and bring another pleasant shop in which to spend some time at The Yards. Likewise, Pacers will add another great new retail category and bring its loyal local community of runners to The Yards.